Bit of a slow start this week but I'm about to put a lot of happy in your hump day, so you're welcome. Yes! For reals! Un-breakable Lynn Chase gorgeousness! 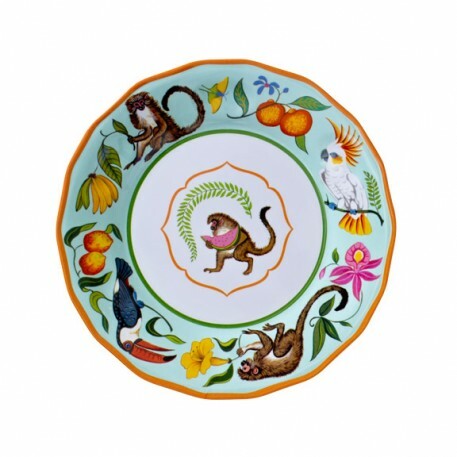 I love, love, love the whimsical designs of Lynn Chase which I have always known as excellent choices for fine china. Somewhere in my brain I knew there were more casual offerings in her line-up but I didn't know there was melamine! 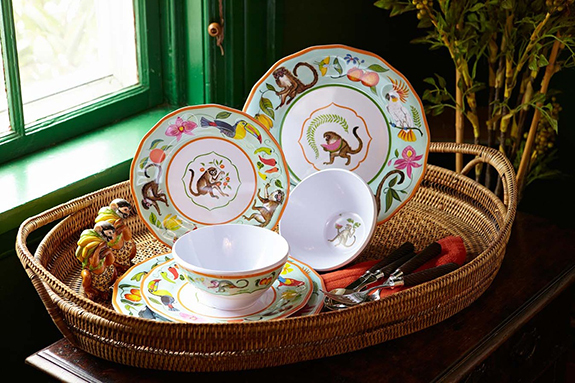 And in one of my all-time favorite patterns - Monkey Business! I can't think of a pattern better suited for the fun of summer outdoor entertaining. After five years, we are finally turning our attention toward our backyard and I'm in the midst of finding suitable outdoor furniture - I'll be honest that now that I know this tableware exists, I will likely be planning my backyard around it. Check out more from Lynn Chase here including this pattern which, had I known about it, would have been a strong contender at Christmas when I was looking for new white plates. 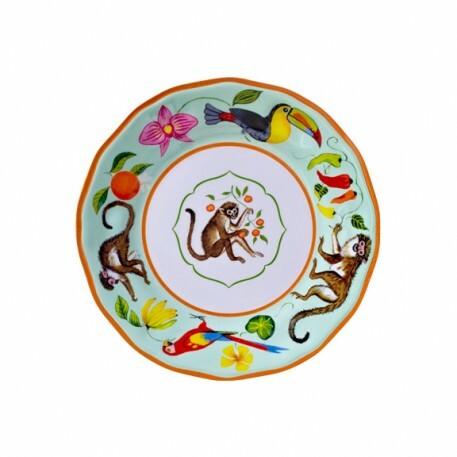 To fun and loving all of the beautiful melamine patters out there now!! Lynn Chase's designs are wonderful! Thanks for posting about them. I've fallen for her Rainforest pattern, though they are all marvelous.